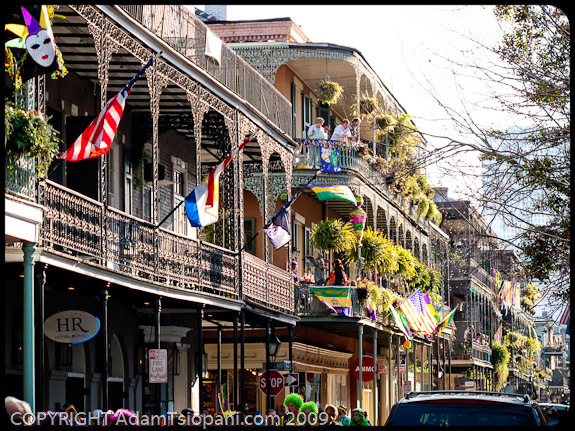 This photo is of Royal Street in the French Quarter of New Orleans on Mardi Gras Day 2009. This was my favourite street in New Orleans during the festival - artisans and fabulously quirky, cooky people of all ages flock here to display their homemade costumes and to escape the drunken frat-boy debauchery of Bourbon Street. The sun was shining, smiling faces and celebrations all round.